Product code: NS239 Categories: Sold Items, Sold Jewellery. 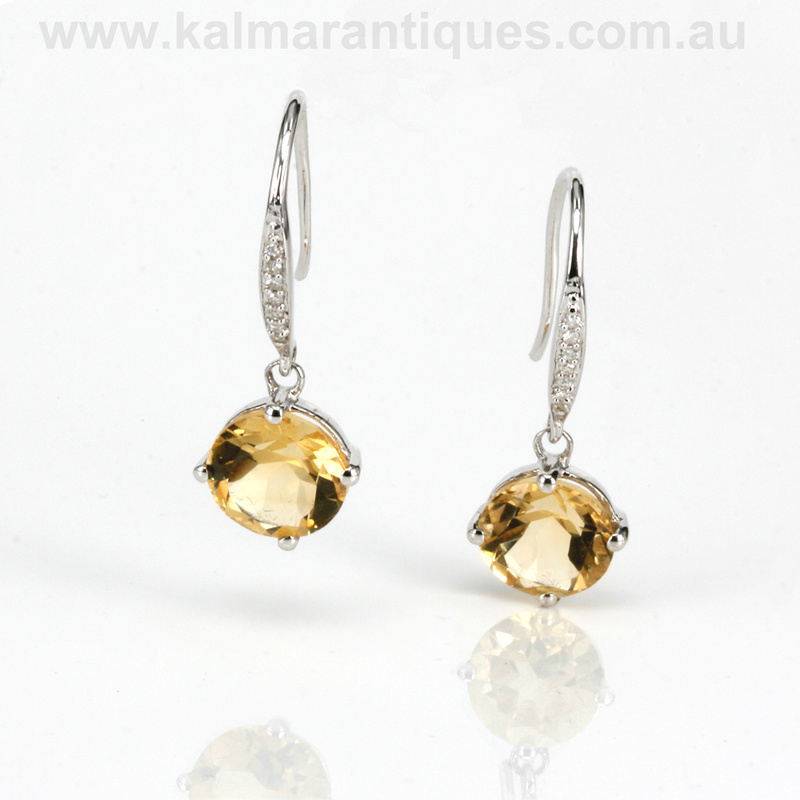 Here are a pair of 18ct citrine and diamond earrings that will always look so elegant when they are worn day or night. Made in 18ct white gold, the white gold really compliments the warm glow coming from the citrines which are claw set to allow the maximum amount of light to enter each stone and really make them sparkle. Running up the shepherd hooks are seven round brilliant cut diamonds in each to add just the right amount of sparkle and from the bottom of the citrine to the top of the hook, this distance measures 26mm. With lovely long and secure hooks and the perfect length to wear and enjoy, these citrine and diamond earrings are really so lovely and perfect for any occasion.